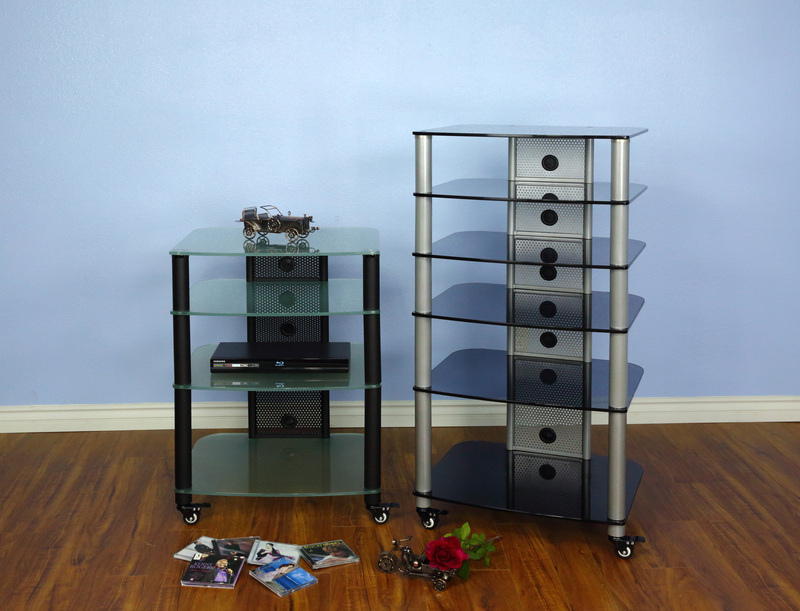 Extra thick glass shelves 0.4″ (10 mm) for heavy load support up to 220 pounds each shelf. Unit capacity 350 pounds. Available in 4, 5 and 6 shelf unit. Shelf size: 24 5/8″ (W) x 21 3/4″ (D). Width clearance between poles: 20 1/2″.